A one pint seasonal taste adventure with wild foods and local produce, a new recipe each season. 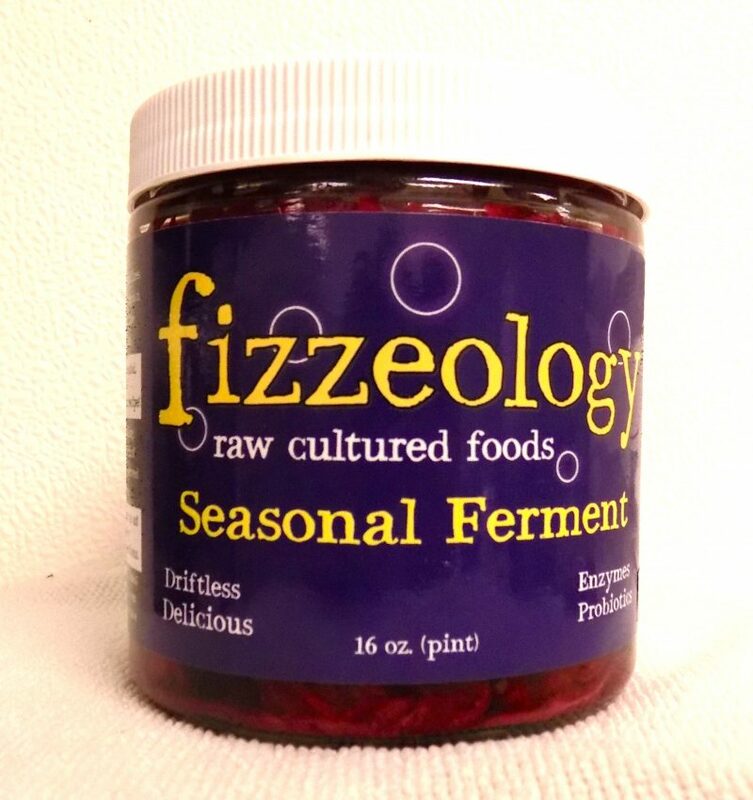 Here are examples of a few of our past seasonal ferments: The First Winter Cabbage, carrot, onion, daikon, black spanish radish, rutabaga, turnip, yellow beet, chioggia beet, butternut squash, parsnip, burdock, wild parsnip, cattail, and salt. Garlic Sea Fizz Cabbage, carrot, rutabaga, garlic, kelp, and salt. Budding Beginnings Cabbage, carrot, sun-choke, garlic scape, milkweed bud, ginger, and salt. Summer Harvest Cabbage, red cabbage, candy onions, zucchini, radish, purslane, and real salt.